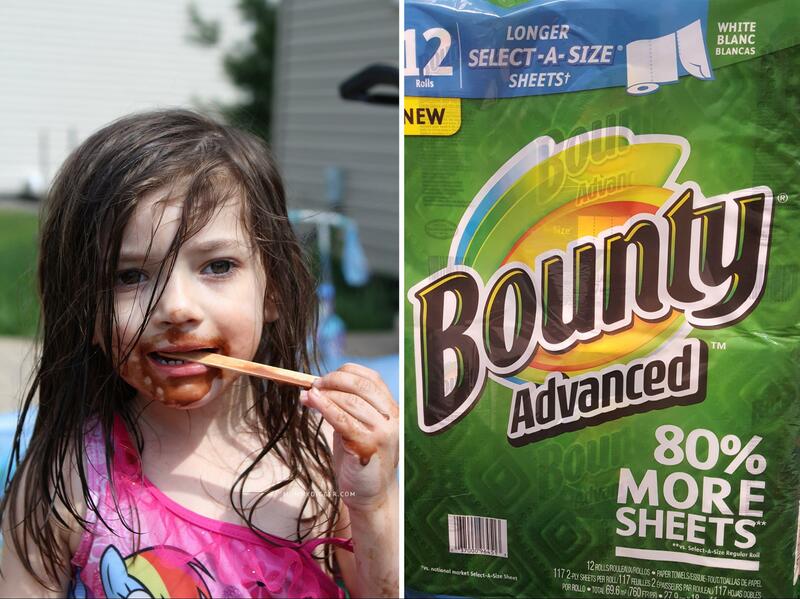 Clean Up Summer Messes Fast with the Help of P&G Products and Costco & Get Back to the Summer Fun! Summer is my favorite time of the year. School is out and I have both of my wonderful girls home to spend lots of quality time together. We spend much of our time in the backyard on their playscape, in the sandbox and the pool. With all this extra fun in the sun, extra messes are sure to come with the territory – sticky popsicle messes, dripping ice cream, watermelon juice and sand on the kitchen floor tracked in from the sandbox. These are just a few of the many messes we’ll be faced with this summer and I want to be able to clean them quickly, easily and affordably because these little details make all the difference into having a more fun filled summer with my family. To help me stay on top of the messes I take a trip to Costco to stock up on all the P&G summer mess necessities. I can make one trip and get everything I need stocked up in bulk and ready to take on the summer messes sure to come my way. First off, I need lots of paper towel. I’ve put many different brands to the test but for the really tough messes I’ve come to grow very fond of Bounty Advanced. It’s thick enough for the big messes and can scrub them off without making a shredded paper towel mess in its wake. It is also soft enough for me to dampen them and use them on the messy popsicle faces. It picks up summer fun messes from all surfaces with ease and lets me get back to playing with my kids faster. I also like that I can pick a smaller or larger size depending on the size of the mess which ultimately helps me save money. Another item that is perfect for summer are Swiffer Sweepers. I use them to clean up the dirt and sand that finds its way into the kitchen in our entryway off the patio. This is where we spend a lot of our time and my Swiffer Sweeper and Swiffer Sweeper Dry Pad Refills help me get the messes cleaned up quickly without having to break out the vacuum cleaner constantly. The Costco refill pack comes with 80 refills which is enough to get me through an entire summer of cleaning our floors. Another common summer mess that happens daily are stains on the girls clothes. There are grass stains, watermelon juice drips and of course again with the ice cream and popsicle stains. My detergent of choice is Tide and I love the Tide Pods. It gets these stains out easily and helps them get more wear out of their clothes. I’ve used the Tide Pods and have forgotten to pre-treat stains and was happily surprised to find the stains were still gone. The convenient pods just get tossed in and do all the work for me and are gentle on our clothes so we get more wear out of them. With all these cleaning tools in my arsenal I can get the messes of Summer cleaned up quick and get back to what is important – spending time with my kids and making some GREAT summer memories with them. Find out more about these great P&G necessities at Costco.